Sinatra Dunn apologized in court for the death of Ralph Smith. 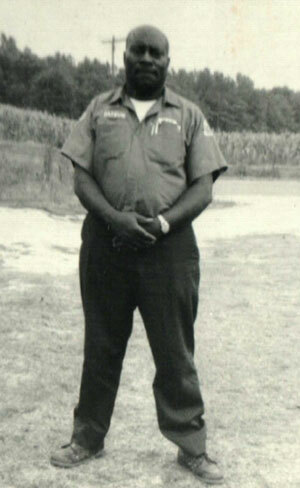 RALEIGH -- A 70-year-old man is on his way to prison after pleading guilty to the 1971 murder of a Raleigh cab driver. Sinatra Dunn confessed and apologized in court Tuesday for the death of Ralph Smith. Dunn said he was an angry young man when he shot and killed Smith. He admitted to the crime 43 years later when a detective picked up the cold case this past summer. According to the prosecutor, Dunn told the detective he planned to skip out on the fare, but Smith fought with him and during the struggle Dunn fired one shot from .22 caliber pistol. Smith died next to his cab and the crime went unsolved. Smith's family said they are glad that Dunn has since found Christ and that they have forgiven him now that they have closure. In court Tuesday, Dunn stood and apologized to the victim's family. "It's hard to address someone's family after crime like this, but I want to say to the Smith family that I don't expect you to forgive me, but I'm glad you all got some closure and I'm so sorry," he said. Smith's family agreed to a second-degree murder plea deal for Dunn, and the judge sentenced him to 12 years in prison. Court officials estimate that he could be out in two to five years.